One of modernity’s “virtues” is its claim to reduce harmful variability in our lives. For example, in pre-industrial times, you might only have access to foods that are in season. Strawberries bloom in the spring, and in a time when international trade and refrigeration capability was limited, you could only eat strawberries in the spring. Today, I can get strawberries whenever I want. There is no such thing as “in season” from my consumer perspective. And this is considered good. But I fear that our effort to reduce variability has gone too far, particularly when it comes to our self-imposed standard of personal and professional success. If we’re not making linear process towards our goals, we are failing. If we didn’t immediately move from college to a job at a prestigious company and then receive a series of promotions in the next 10 years and then get married and have kids, we feel “behind” and panic. Then we look to life hacks and the high priest of productivity, David Allen, to get back on track. I find the Taoist perspective on variability much more pleasant and compatible with the way my life has actually worked. It’s the “sometimes life is this, and sometimes life is that” aspect that is incredibly appealing. For example, I was living with my parents for about 9 months after I left Portland, Oregon. At the time it was somewhat depressing, and I eventually left because I was irritated with the whole situation and just said “F— it,” I’m moving to DC. I bought a plane ticket and moved to a hostel and started looking for a job. It all worked out, and that moment of frustration eventually led to some good things, but if I had been applying lessons from the Tao Te Ching at the time, I could have put that time into perspective while it was happening. Instead of thinking about it as a completely embarrassing situation, I could have framed it as a time for “non-action” and assessment of my opportunities. I sort of did that, but with much more shame and guilt. 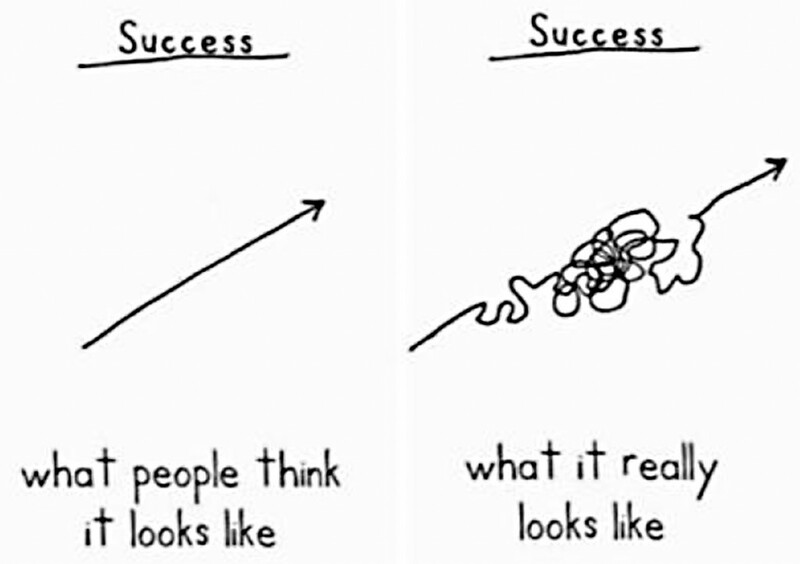 There’s a great sketch by the comedian Demetri Martin that compares what we think success will look like, and what it actually looks like. That jumble of a line on the chart on the right from a Taoist perspective is completely expected, perhaps with the exception that the line doesn’t necessarily continue moving up (more successful). On average, the Tao may follow a more horizontal path. Sometimes you are more successful and sometimes less successful, and that’s okay. It will look more like a sine wave. So we shouldn’t be freaked out about variability in our personal and professional lives. We should expect it, welcome it, and react appropriately.